Professor Okubo received his BS in physics (1952) from the University of Tokyo, Japan and his PhD in physics (1958) from the University of Rochester. After one year of postdoctoral research at Rochester he went to the University of Napoli, Italy (1959-60) and CERN, Switzerland (1960-61). He returned to the University of Rochester in 1962 as a Senior Research Associate in the Department of Physics and was promoted to full Professor in 1964. He is the author of the book,Introduction to Octonian and Other Non-associative Algebras in Physics (Cambridge Univ. Press, 1995). 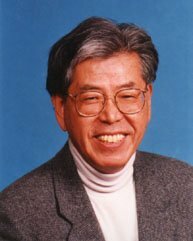 He was awarded the Wigner Medal for his contributions to Group Theory in 2006, the American Physical Society Sakurai Prize in 2005, and a Nishina Prize in 1976 from the Nishina Foundation in Japan for his contributions to theoretical particle physics. He was a recipient of Guggenheim (1966) and Ford Foundation (1969) Fellowships. He is a Fellow of the American Physical Society. Professor Okubo's primary research interest is in the area of theoretical high-energy physics and mathematical physics. In particular, his recent works have focused on applications of Lie algebras and other non-associative algebras in both physics and mathematics.